A new automatic series for women. 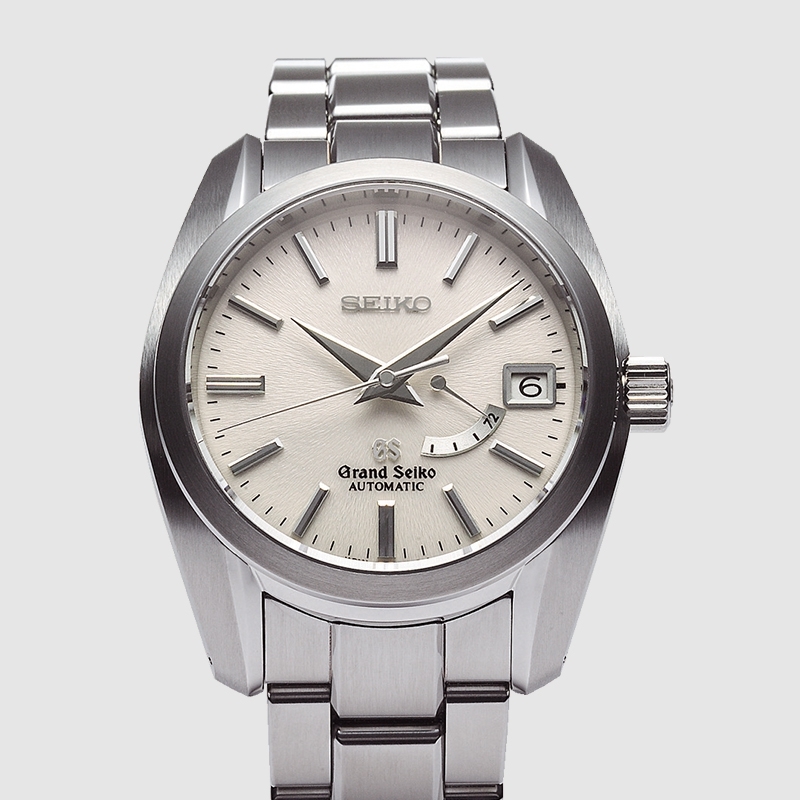 GRAND SEIKO. THE INSIDE STORY. 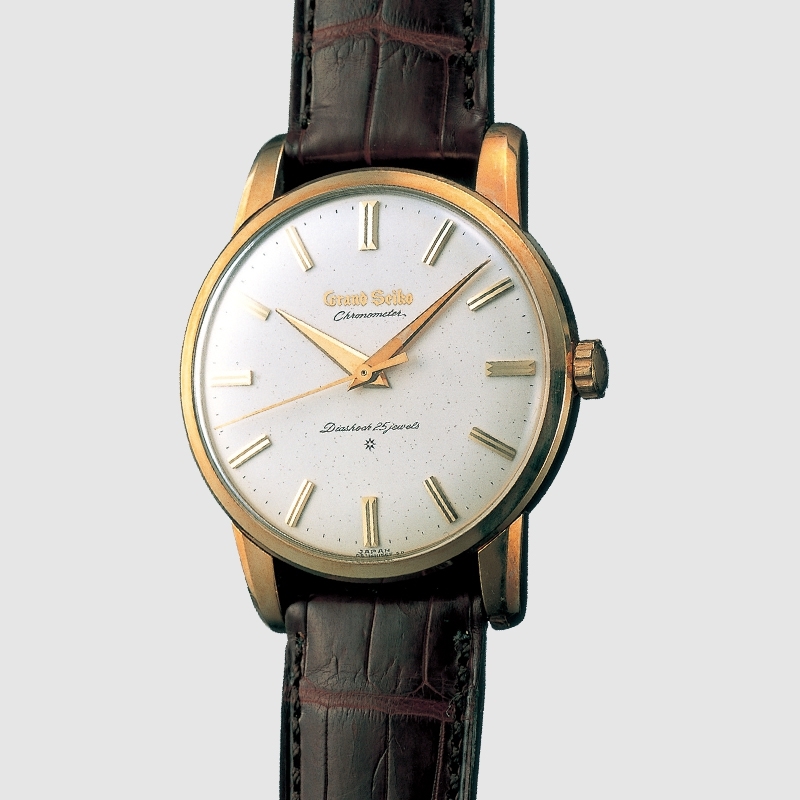 It was the determination to excel that brought about the birth of Grand Seiko in 1960. During its development and ever since, the idea that drove the designers and engineers was that Grand Seiko should be the ‘ideal’ watch with standards of precision, durability and beauty that would lead the world. From the start the idea was simple, but its realization was fraught with challenges. The idea was to build a watch that would be as precise, durable, easy to wear and beautiful as humanly possible. 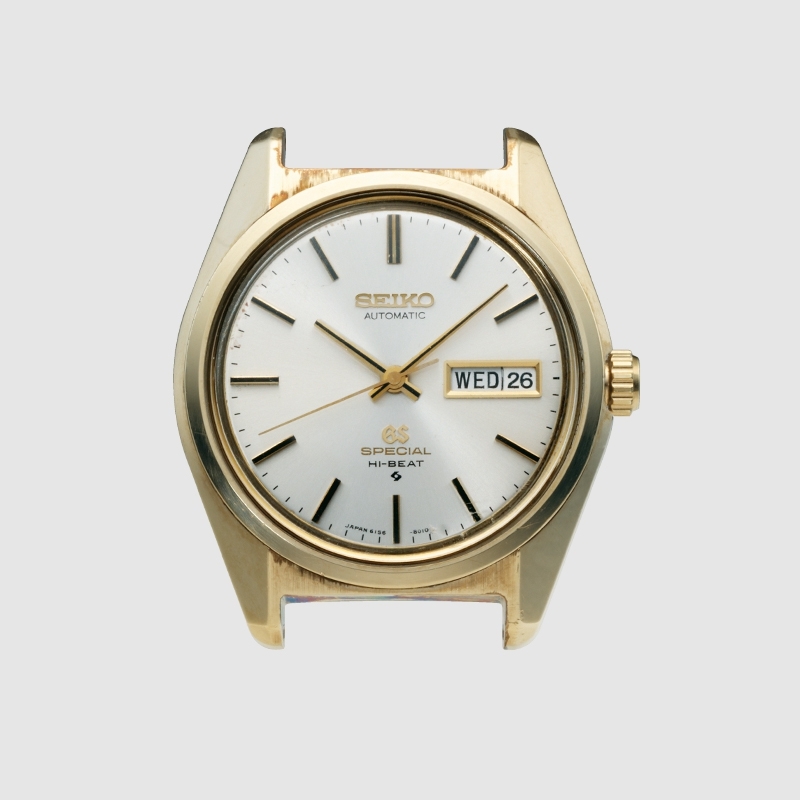 While Seiko’s Crown and other mechanical watches of the 1950’s were constantly improving and increasingly popular, the team assembled to create Grand Seiko knew that, given time and resource, they needed, and could, go further. 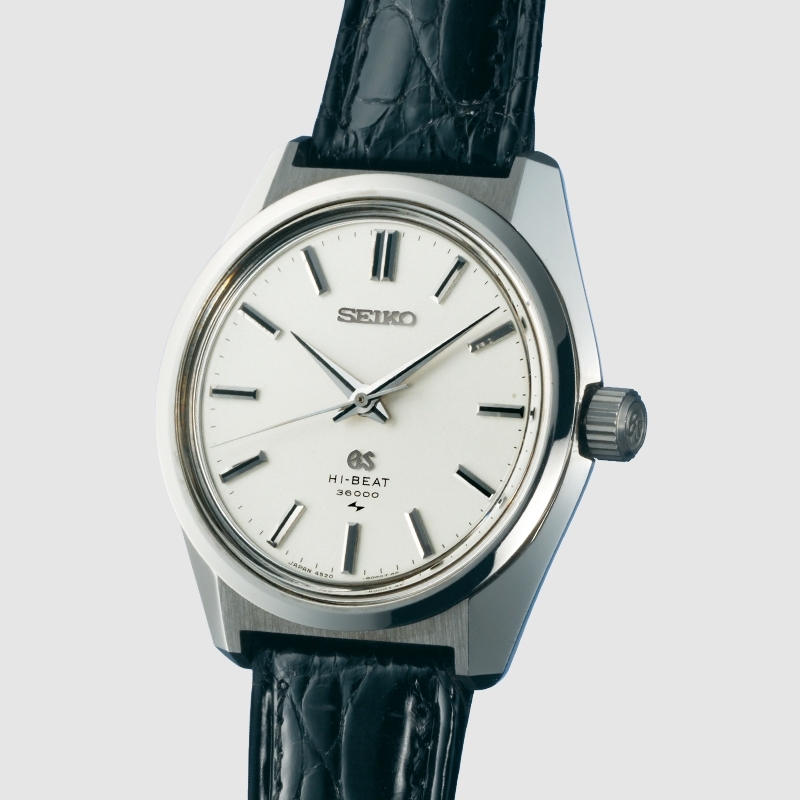 The first Grand Seiko was a major advance. The new caliber 3180 was accurate to within +12 to -3 seconds a day and offered a power reserve of 45 hours. It was the first watch in Japan to be compliant with the standard of excellence of the Bureaux Officiels de Contrôle de la Marche des Montres. The 1960 Grand Seiko was a great success, but the design team was determined to scale new heights in pursuit of their goal of creating the ‘ideal’ watch. Just four years from the creation of the first Grand Seiko, the Grand Seiko Self-Dater was introduced. The emphasis was on practicality. It had a calendar function and improved water resistance up to 50 meters, and was designed to be as practical in the office as it was beautiful in the evening. Grand Seiko was born. 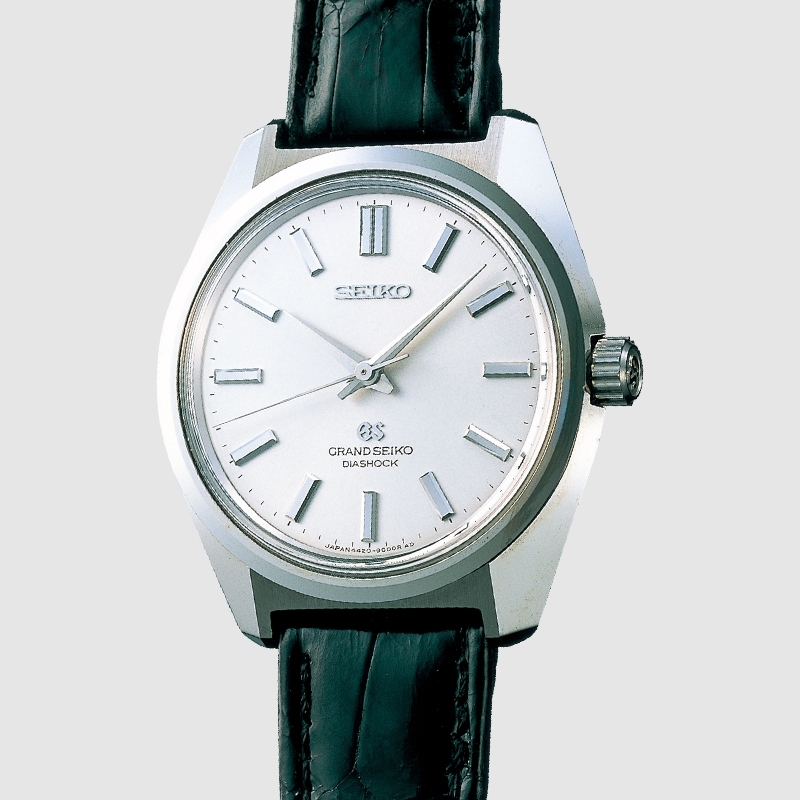 The first Grand Seiko model was produced in Suwa Seikosha (now Seiko Epson) in Nagano prefecture in central Japan. 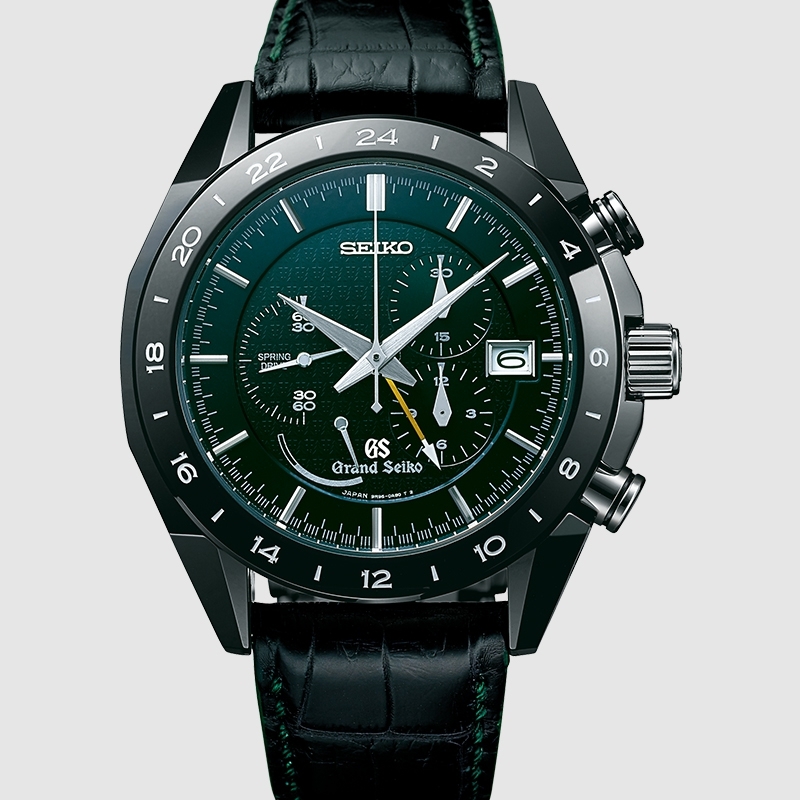 A second-generation model was launched, with a calendar function and with water resistance increased to 50 meters. The 1960’s. A decade of change. Released in 1967, 44GS had the highest level of accuracy of any manually wound 5 beat watch in the world. 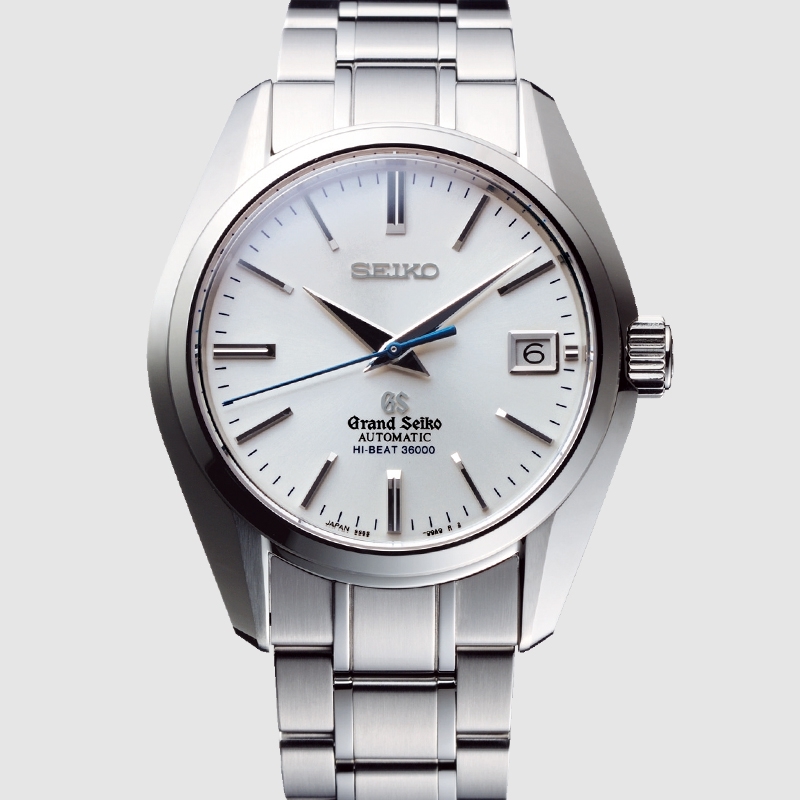 In just a few short years, Grand Seiko had made extraordinary strides towards its goal. The design of 44GS included many aspects that have been passed on to today's Grand Seiko watches. 44GS established the look that Grand Seiko has continued to this day. It was a complex design idea, with rules about proportion, finish, angles and every other design aspect. Indeed, there were three basic principles and no fewer than nine elements required to achieve them. No other watch has had such an influence on the character of Grand Seiko and all subsequent Grand Seiko models have share the same unique brilliance and charm as 44GS because they have all expressed the Grand Seiko Style. Throughout the decade, the Grand Seiko collection grew and new calibers were continually introduced with a rapidity. 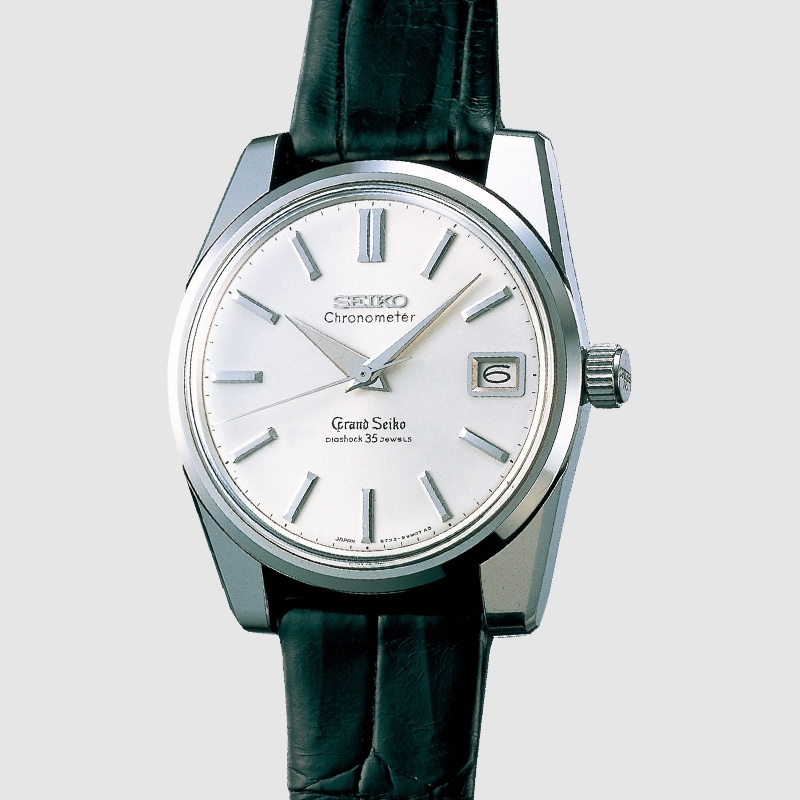 In 1967, Grand Seiko unveiled the 62GS, the first automatic Grand Seiko, followed in 1968, by the automatic 10 beat 61GS and the manual 10 beat 45GS. Driven by the demands of the age and the new possibilities that technology presented, watch accuracy became a global obsession and competition at chronometer trials intensified. 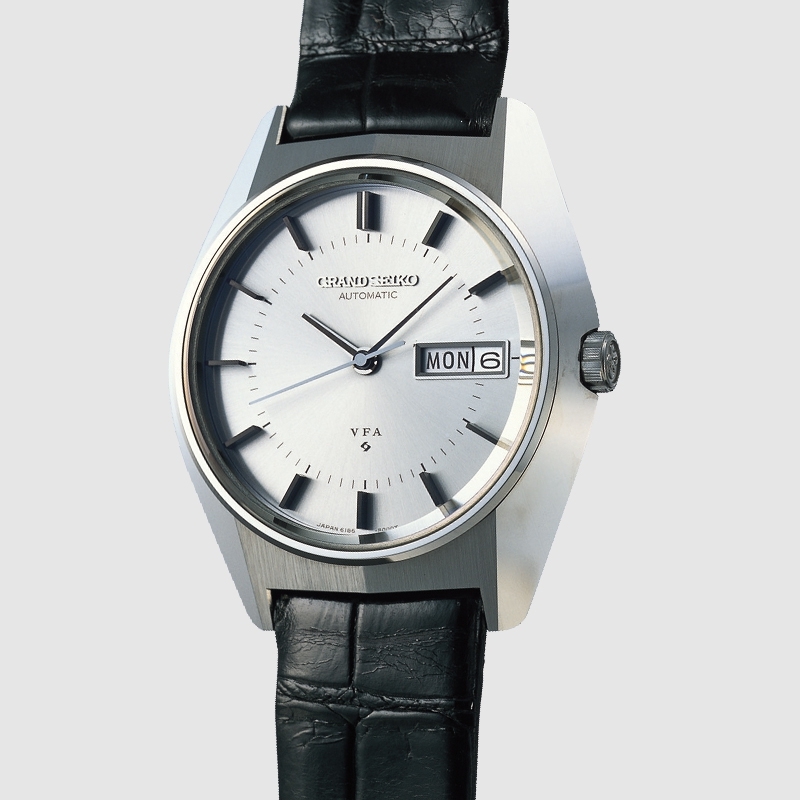 Having won every Chronometer competition in Japan, Grand Seiko’s team looked overseas for new challenges and the Swiss observatory chronometry trials graciously admitted our entries in 1964. In the years that followed, the rankings steadily improved, at both the Neuchâtel and Geneva ‘concours’. In 1968, our movement were awarded the overall prize as the best mechanical watches in the Geneva observatory competition and the world saw that the movements that would find their way into Grand Seiko were among the very best in the world. These results were no accident. Thanks to ever improving watchmaking skills, the invention of new alloys and components and a passion to create the ‘ideal’ watch, Seiko and, more specifically, the Grand Seiko team made a definitive and lasting contribution to the raising of global standards of mechanical watchmaking. Thanks to its unique Spron alloys, the torque and durability of its mainsprings were enhanced and made possible the increase of the balance wheel oscillation rate to 10 beats per second to significantly increase the accuracy of its watches. The challenge of a viable hi-beat watch was met. A series of specially adjusted watches further raised the bar and set new standards of precision over time by being less susceptible to changes in position and other external influences. The level of accuracy was astonishing, with a variation of less than ±2 seconds per day or ±1 minute per month. Having pursued the goal of accuracy to the very limit of what was possible at the time, the Grand Seiko team gave its ultra-high-precision models the "Grand Seiko Very Fine Adjusted" name. The 61GS V.F.A. and the 45GS V.F.A became legends. 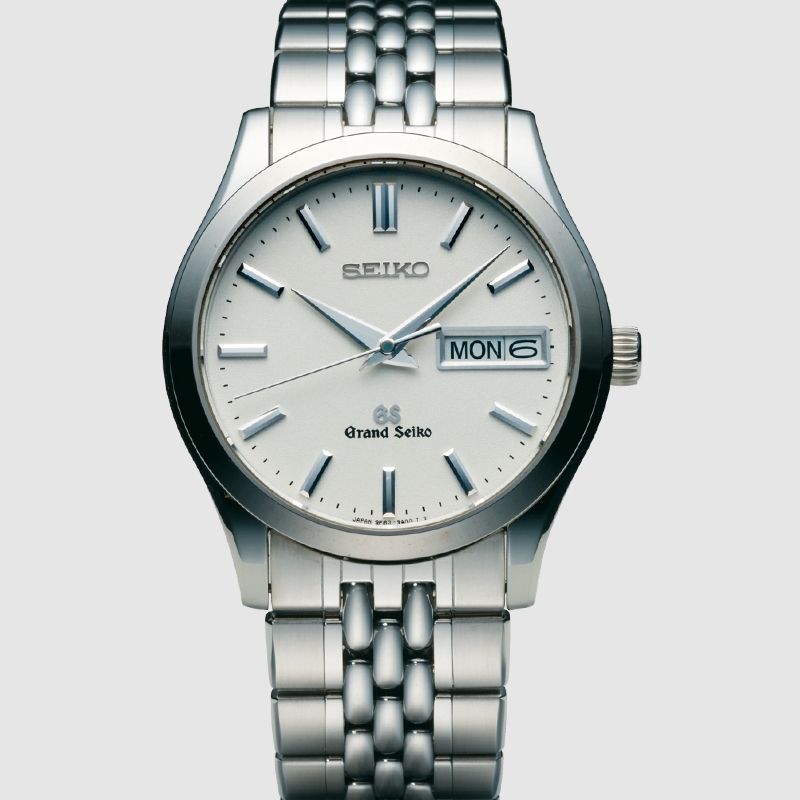 Daini Seikosha (now Seiko Instruments) produced its first Grand Seiko watch. 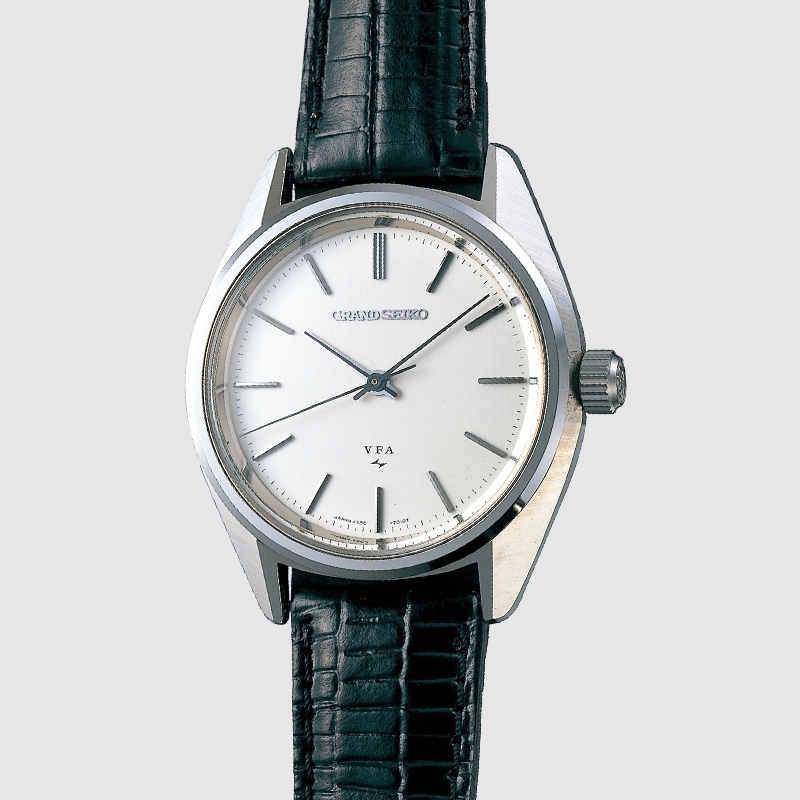 It was the first model to embody the exterior design concept of 'Grand Seiko Style' which endures to this day. 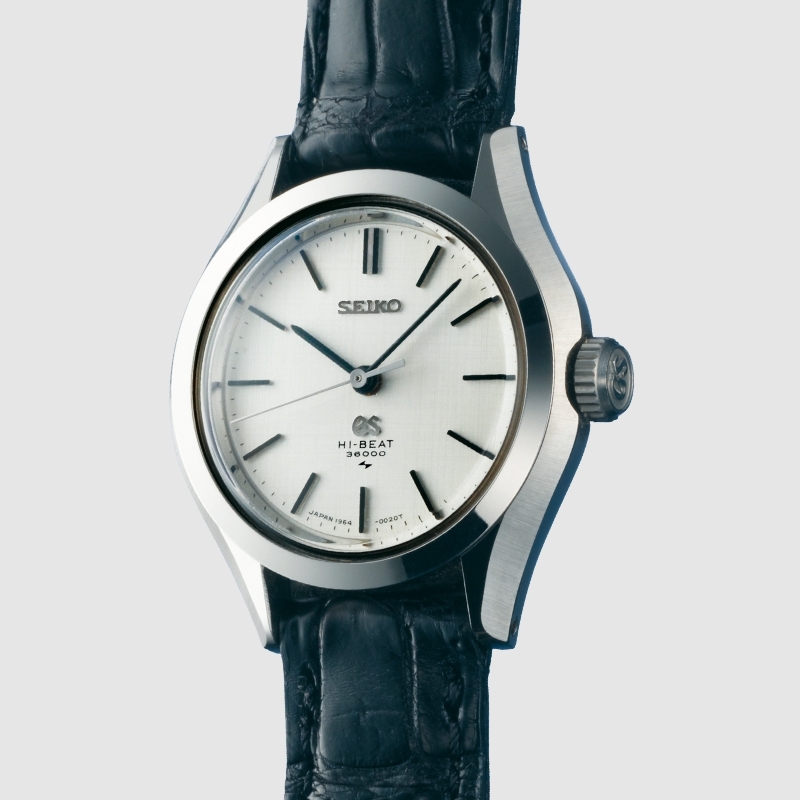 The first Grand Seiko self-winding model. The crown was recessed and placed at the 4 o’clock position to dramatize the fact that hand winding was not required. 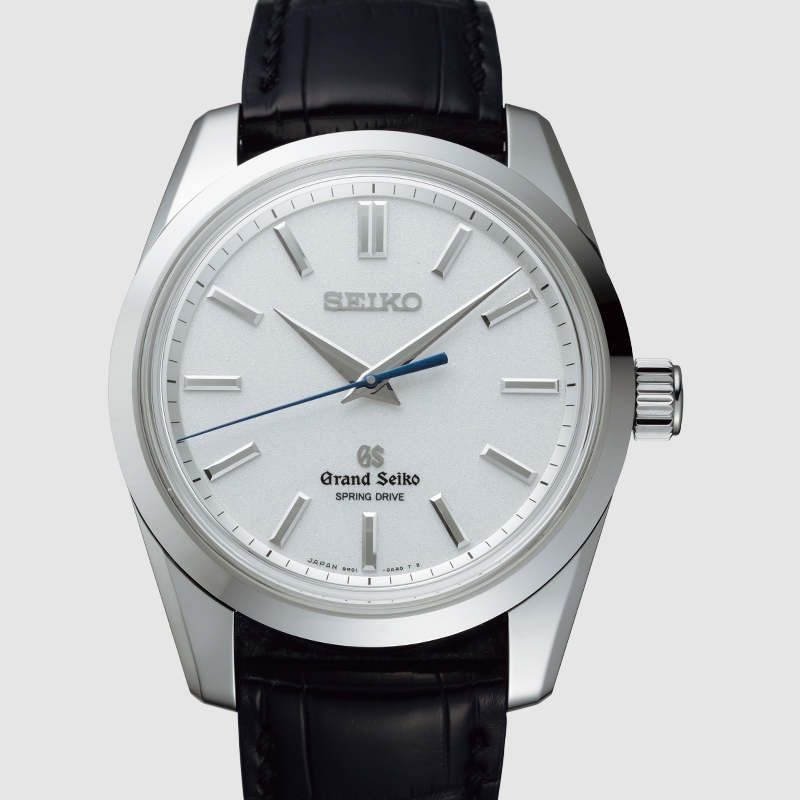 The first Grand Seiko self-winding model with a 10 beat movement. A manual 10-beat model, featuring a slimmer movement. Like the automatic 61GS, it delivered a higher level of precision that made it more stable in different usage situations. The date calendar featured an instant-change mechanism. 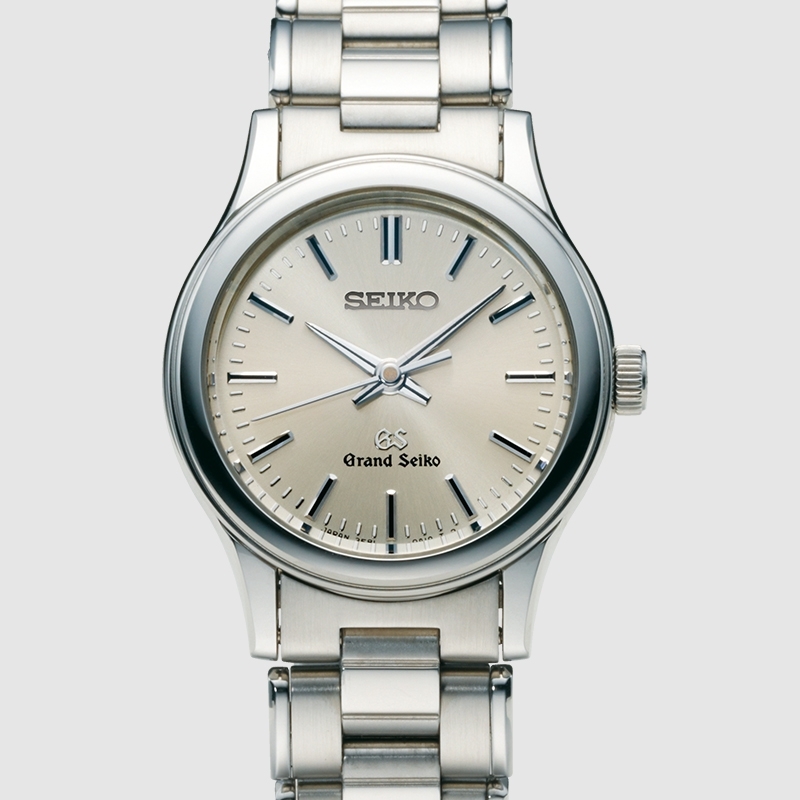 The first Grand Seiko watch for women with a 10 beat, high precision movement. This super high precision model sought to explore the farthest limits of accuracy in a mechanical watch. It delivered a monthly rate of ± one minute. After accuracy, size reduction was the next challenge for Grand Seiko. This caliber was automatic winding and although just 4.5mm height, it retained the high precision of its predecessors. Thinness was not just an engineer's challenge. 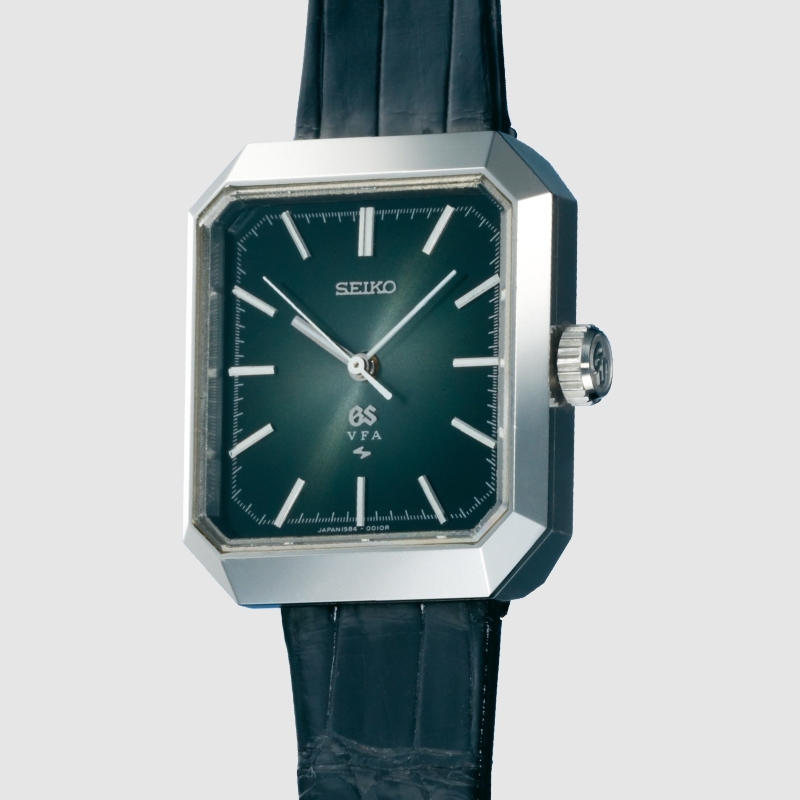 "Easy to wear" was part of the "ideal" watch concept and this slimmer watch sat more easily on the wrist. The Grand Seiko Special aimed for a yet higher standard of precision, more exacting even than the GS standard of the time. Aiming for the highest possible precision in women's mechanical watches, this model delivered a monthly accuracy rate of ± two minutes. 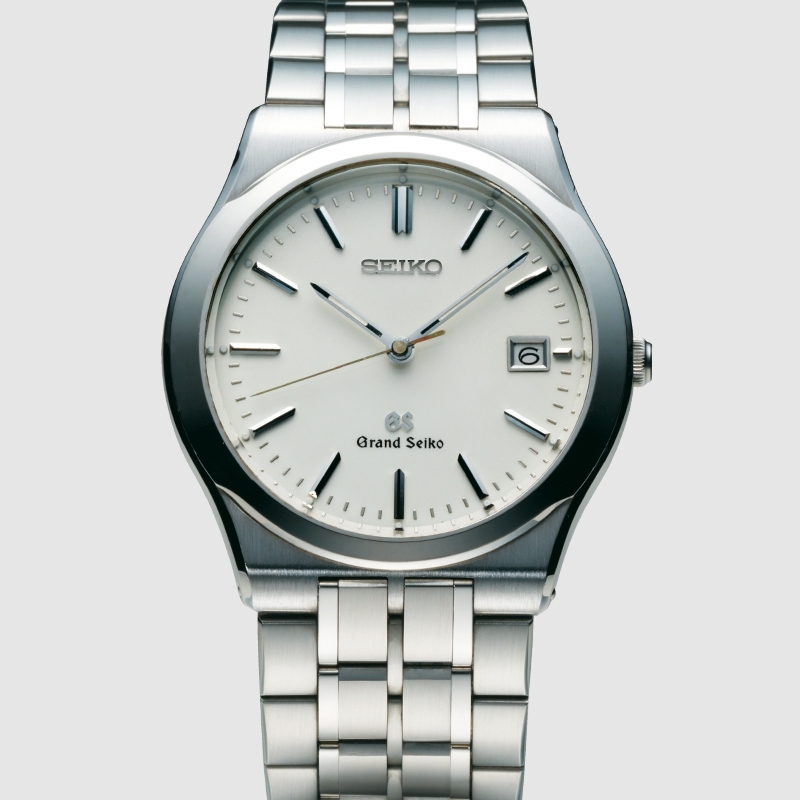 In 1988, the first Grand Seiko quartz watch, the 95GS was born. It far exceeded the performance of all regular quartz watches with its accuracy of ±10 seconds per year. The secret, as ever with Grand Seiko, was the ability to manufacture every component in-house. Using quartz crystals grown in its own facilities and in its own way, the Grand Seiko team was able to select only those oscillators that exhibited superior performance in temperature resistance, humidity resistance and shock resistance, to produce movements with the highest possible accuracy. 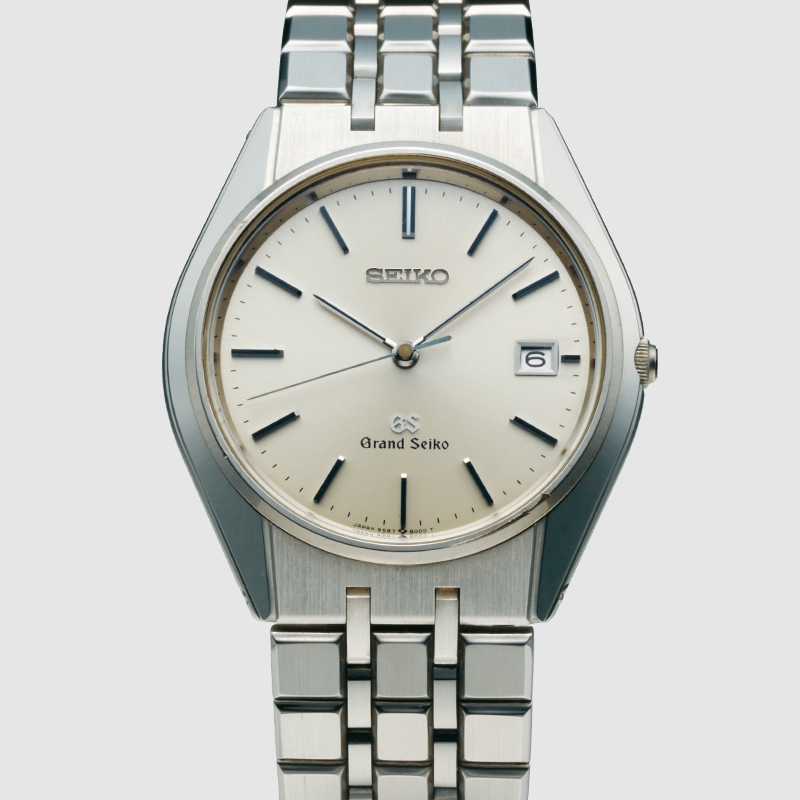 The first Grand Seiko quartz watch. It delivered accuracy of 10 seconds per year, many times higher than other quartz movements. 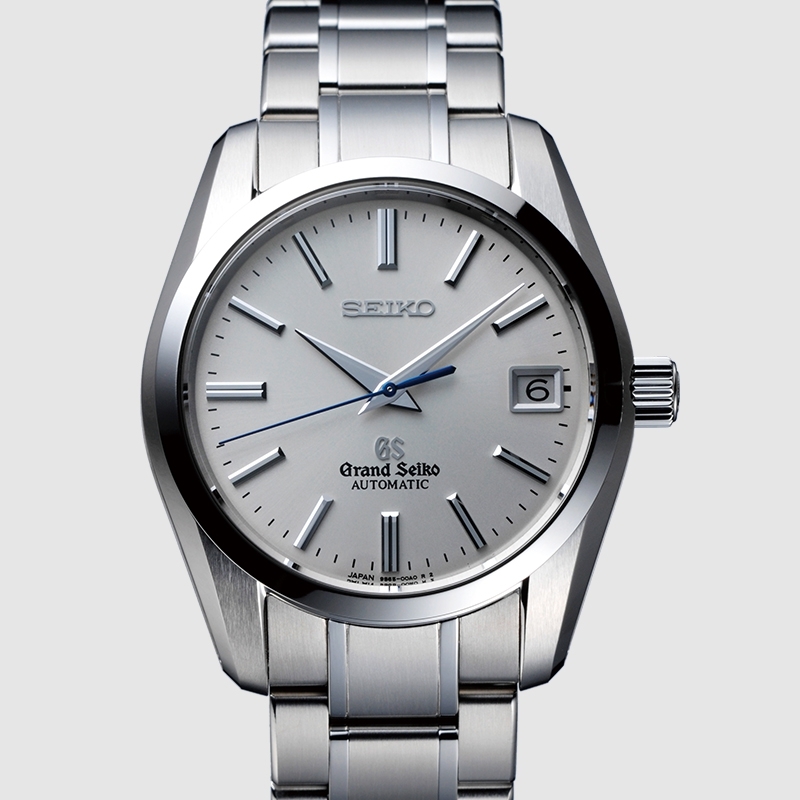 The first Grand Seiko quartz watch with 10 bar water resistance. 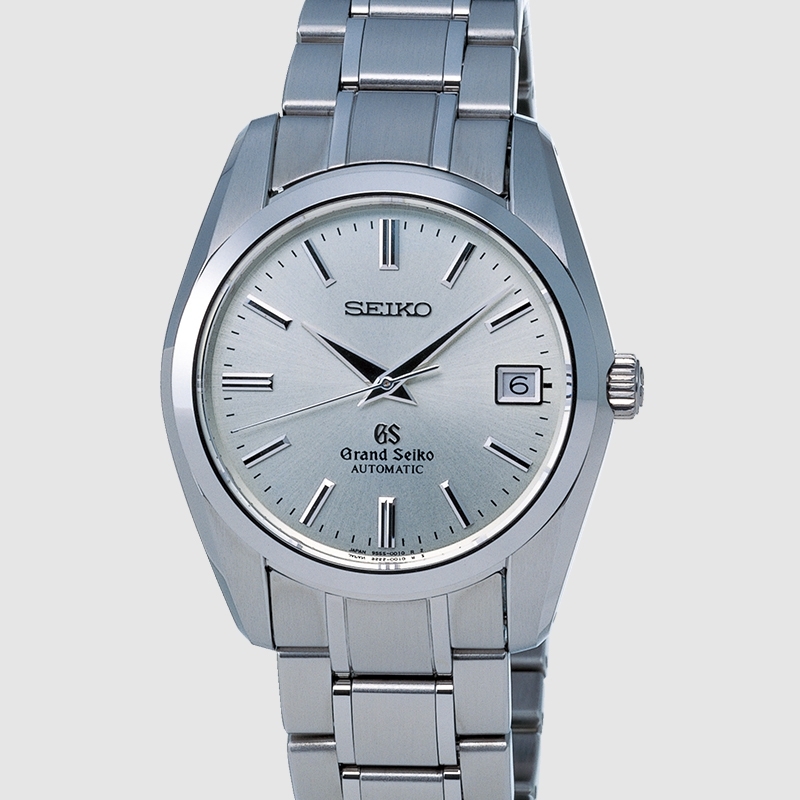 A Grand Seiko quartz model for women, also with 10 second-a-year accuracy. The pursuit of the ideal quartz watch. While the first Grand Seiko quartz watch was exceptional, it did not quench the enthusiasm of the Grand Seiko team to go further and create the ‘ideal’ quartz watch. 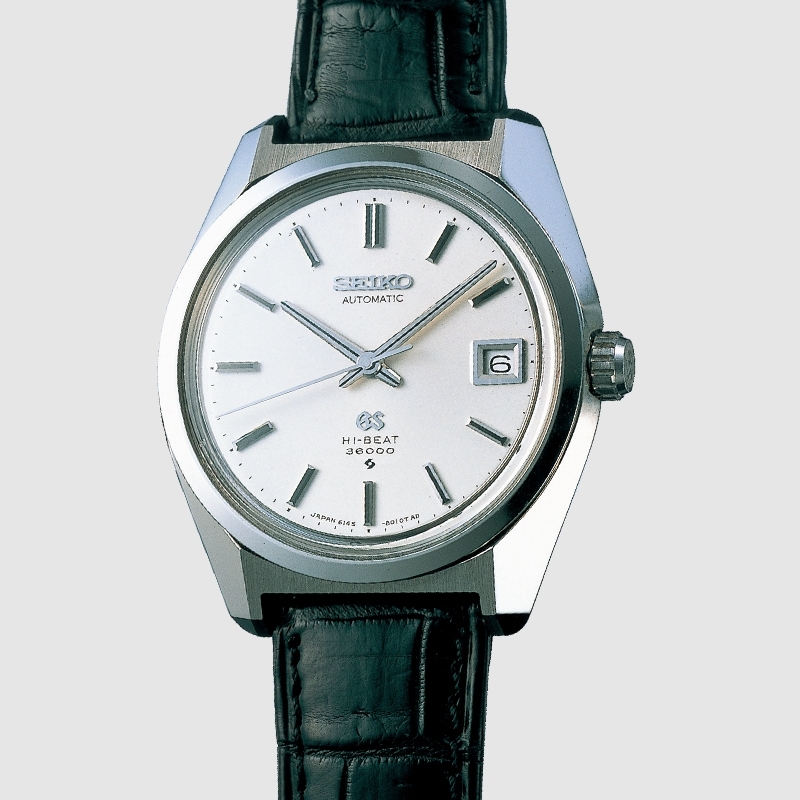 In 1993, Just five years after the arrival of the first Grand Seiko quartz watch, Caliber 9F83 was completed. This quartz watch incorporated four key innovations, the Backlash Auto-Adjust Mechanism, the Twin Pulse Control System, the Instant Date Change Mechanism, and the Super Sealed Cabin. It sought to embody what Grand Seiko considered to be the essential qualities of a wrist watch, namely: accuracy, beauty, legibility, durability and ease of use. Grand Seiko spared no efforts in the details, making this the pinnacle of quartz watchmaking. The development continued. In 1997 Seiko unveiled the 9F6 series, with a superior level of case design that made Grand Seiko quartz watches even more comfortable to wear. 2003 saw the creation of new quartz watch series whose resistance to magnetism was a remarkable 40,000 A/m. This series utilized an advanced exterior design and new casing techniques that allowed its ±10 seconds per year precision to be unaffected by proximity to computers, mobile phones and other electronic devices. 'Quartz that surpasses quartz.' Pushing back the boundaries again, this quartz watch set new standards of precision and durability with four innovations, the 'backlash auto-adjust mechanism,' which had never before been achieved in a conventional quartz watch, a twin-pulse quartz mechanism, an instant calendar change mechanism and a super-sealed cabin within the case. The meticulous efforts of Seiko’s master craftsmen and women resulted in the mirror finish of the case side surface, free of distortion. 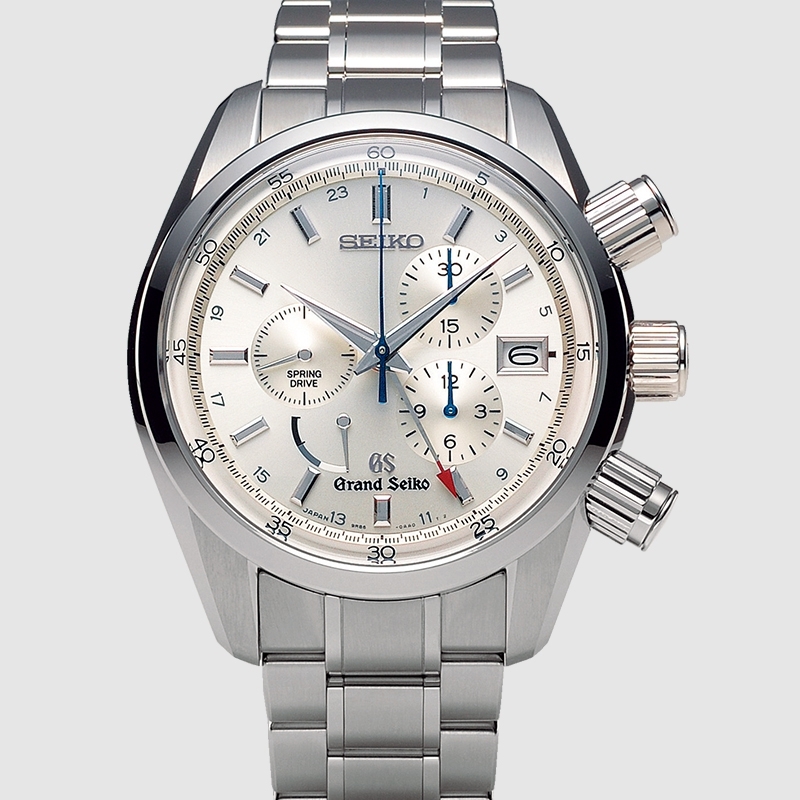 In the mid 1990’s, the time was right for a new generation of Grand Seiko mechanical watches. The technology of the company’s watch making had advanced, tastes had changed and time had passed. At first, it was thought that simple improvements to the existing mechanical movements would be sufficient, but the goal of the ‘ideal’ watch drove the Grand Seiko team to go further. The movement designers scrapped the original plan in favor of an entirely new design which posed new challenges in every area of the art of traditional watchmaking. By 1996, the 9S movement was ready to be tested. In 1990, Grand Seiko submitted its movements to the accuracy tests conducted by the Contrôle Officiel Suisse des Chronomètres (COSC), the official chronometer testing institute of Switzerland. Three of the first four prototypes passed and, soon after, 50 production movements were submitted to COSC and all of them met the institute's standards. It was a success, but was it a success by the standards that the Grand Seiko team set for themselves? The team decided to create its own, new, GS Standard at a level higher than any public standard of the day. To meet this standard requires more testing, in more positions for a longer period and at more temperatures. It is a gold standard that every Grand Seiko mechanical watch, to this day, must attain. Precision is but one aspect of the ‘ideal’ watch. An ideal watch must have a power reserve that is as long as possible. 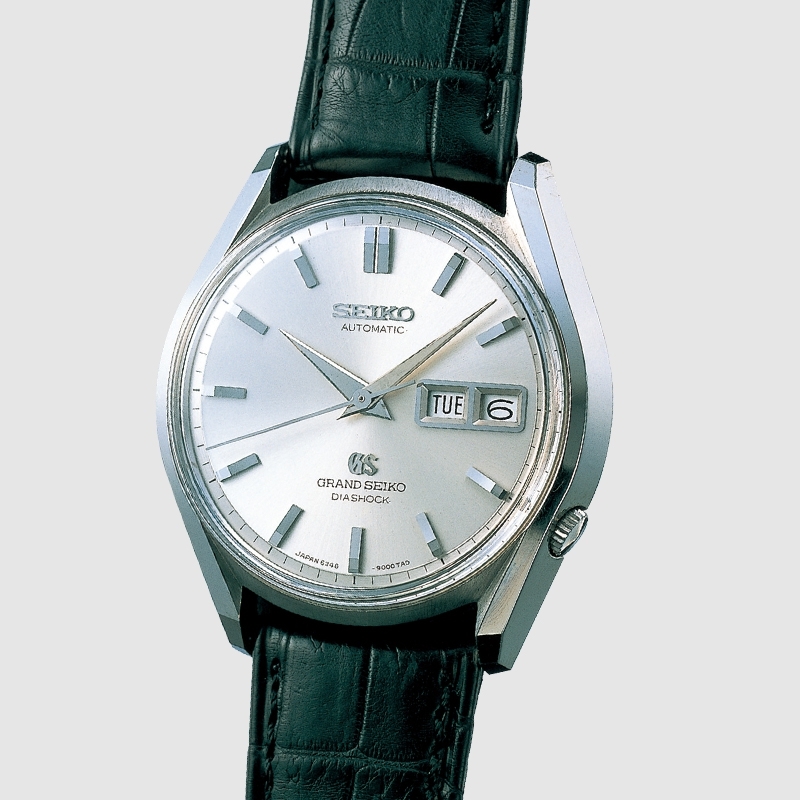 At a time when most watches delivered 40 hours, Grand Seiko set its standard at 50 hours. To achieve higher precision and a longer power reserve required innovations in materials, design, manufacturing techniques and assembly. New alloys were designed, techniques previously used in semi-conductor manufacturing were adapted to watchmaking, new facilities were built and no expense was spared. 9S was, and, thanks to continuous development, remains one of the very finest mechanical calibers in the world. Caliber 9S51 and Caliber 9S55 were created in 1998. Caliber 9S67 with a 72-hour power reserve was created in 2006. The Grand Seiko 9S journey continues. The first new Grand Seiko mechanical caliber in twenty years. It set a new Grand Seiko standard, with cutting-edge production technology making possible a new interpretation of the traditional values of Grand Seiko. For the first time in Grand Seiko history, this watch featured a fourth hand, showing GMT. An anti-magnetic watch, with 40,000A/m, a level of anti-magnetic protection that far exceeded all watchmaking norms. In 1977, a young watch engineer decided to put to the test his belief that perhaps, after all, a watch manufacturer could realize the elusive dream of the ‘everlasting’ watch. He had the vision and the courage to conceive of a traditional watch, powered by a mainspring, that would deliver the one-second-a-day accuracy that electronic watches were then already able to deliver. This brilliant engineer, Yoshikazu Akahane, was a persistent and determined man. It took him over twenty years, during which he endured countless setbacks and created over 600 prototypes, but he and his team eventually succeeded. It required new technologies in every aspect of the watchmaker’s art, and they created them, one by one, year by year. In 1999, Spring Drive was born. Do the planets shudder or ‘tick’ noisily as they cross the heavens? Of course not. Time is both continuous and silent, and it is by reflecting these essential characteristics of time itself that Seiko Spring Drive fulfills its promise as the only watch in the world to tell time as nature itself tells time. 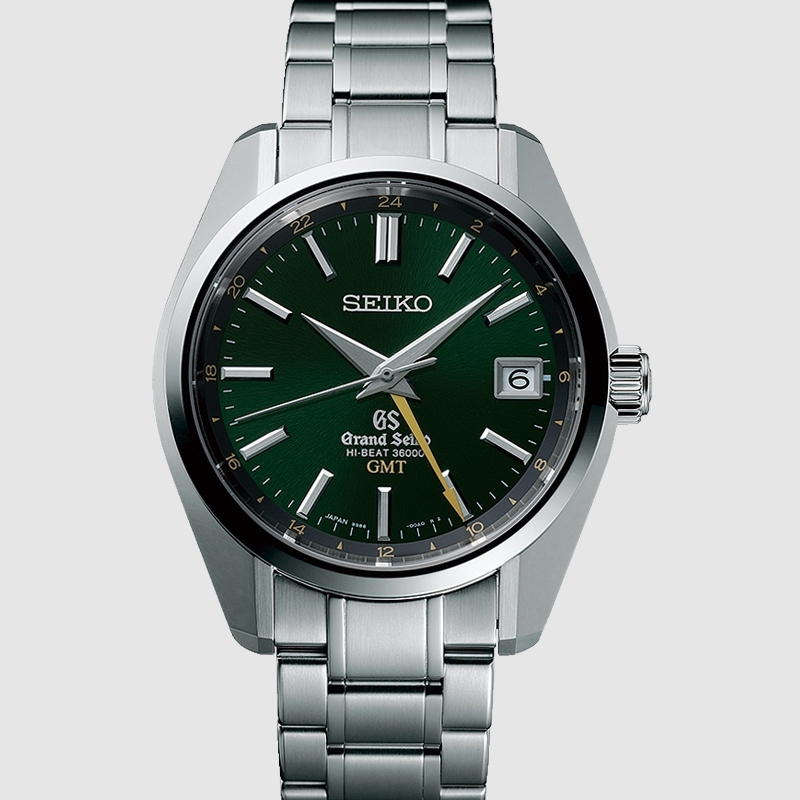 In 2004, the first Grand Seiko Spring Drive, a model using Caliber 9R65, was released. Combining a traditional mainspring with an electronic regulator, Spring Drive offered the best of both worlds; a watch powered by the wearer’s motion but a level of accuracy many times higher than that achievable with any mechanical technology. To meet the high standards of Grand Seiko, Spring Drive needed to offer more than precision, and an extended power reserve was the goal the development team chose. They set the target at 72 hours so that the watch would still be precise even after a weekend away from the wrist. The challenge was to develop a more efficient automatic winding system. Only then could Grand Seiko claim to have produced the ultimate in practical watches. The dream was realized through an extensive process of R & D that lasted 28 years. 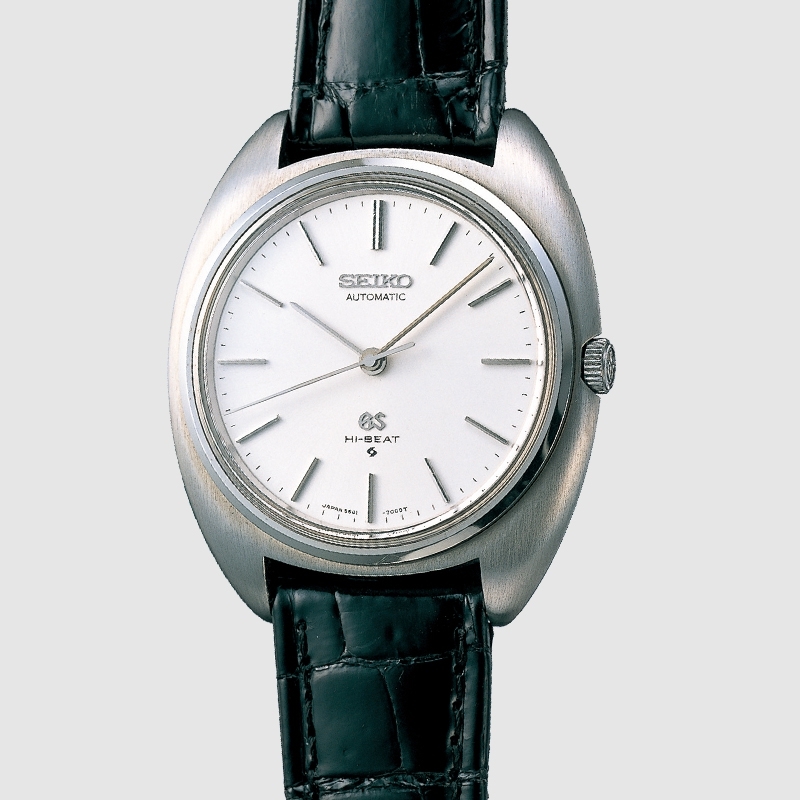 It required advances in both mechanical and electronic watchmaking that were only possible because Grand Seiko was, and still is, one of the very few manufactures that produces, assembles and adjusts parts for both mechanical and quartz movements—a true and deep integration of technology and craftsmanship. The unique Spring Drive caliber is added to Grand Seiko. It delivers an accuracy rate of +/- 1 second per day. Ever increasing levels of performance have always been the Grand Seiko goal. The next target for Grand Seiko became to develop a watch with a 72-hour power reserve—a watch that would still be working on Monday morning even if removed from the wrist on Friday evening. By 2006, Caliber 9S67 was ready. Caliber 9S67 mechanical movement challenged the limits of the conventional single-barrel mechanism to develop automatic mechanical 3-day-power-reserve watches. While beating at the same 28,800 beats per hour rate as Caliber 9S55, the Caliber 9S67 used a barrel with the same diameter as those in the existing 9S5 line, but incorporated a mainspring that was wider and 10 centimeters longer and thereby achieved a power reserve of 72 hours. For the international traveler, a GMT function and the precision of Spring Drive is a perfect combination, as the accuracy is maintained even when time zone adjustment is made. In 2005, the Spring Drive GMT was created. Thanks to the glide motion of the chronograph second hand, the Spring Drive Chronograph measures elapsed time exactly and not just to the nearest part of a second. With column wheel and vertical clutch systems for exact button operation, the Spring Drive Chronograph times up to 12 hours, with a precision of one second a day. The Spring Drive Chronograph. With vertical clutch, column wheel and GMT indication. A 10 beat caliber beats at ten times a second, a rate substantially faster than that of ordinary mechanical movements. While the faster vibration rate makes a watch more resilient to shock and thus more accurate, it also consumes more power from the mainspring and demands greater resiliency from other components. For half a century, Grand Seiko mainsprings have been manufactured in house. Using all this experience, a new alloy was created for the 9S mainspring which has the strength and durability to deliver 55 hours of power reserve and to do for generations. 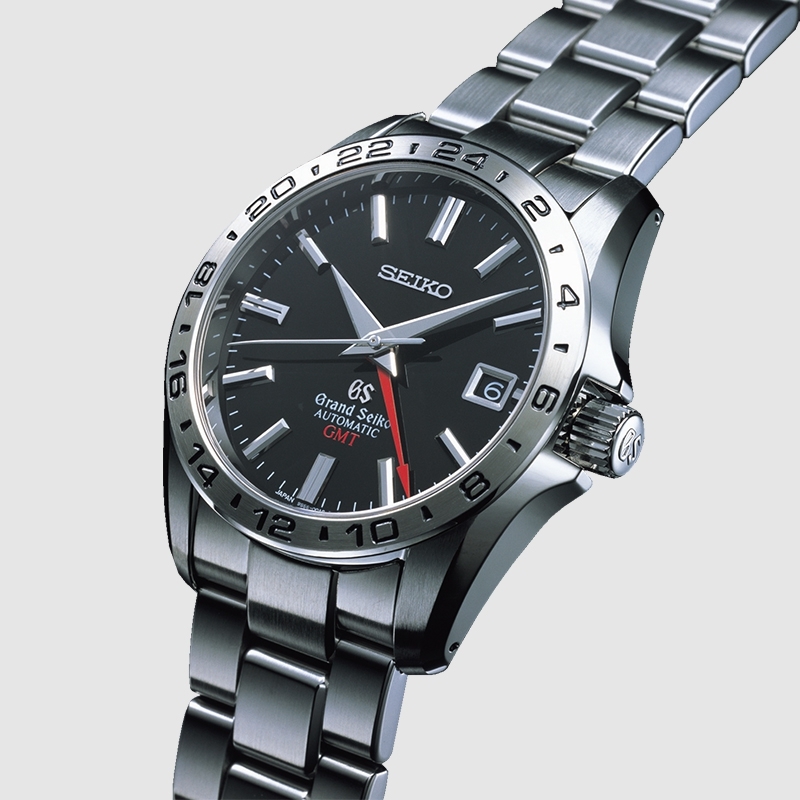 Grand Seiko completed Caliber 9S86 with the addition of a GMT function (a 24-hour display function) a mere five years after the creation of the Caliber 9S85. Pulling the crown out by one notch enables the hour hand to be adjusted without stopping the second hand so that the highly accurate timekeeping delivered by the Hi-Beat 36000 is not lost. The watch is the embodiment of the Grand Seiko pursuit of high accuracy, maintaining exceptional precision in both the essential time display and the GMT function. Caliber 9S65—a new level of mechanical excellence. Caliber 9S55 was upgraded with a 8 beat movement and highly precise parts made using MEMS advanced technology (used in Caliber 9S85) to become the 9S65. New components and materials were combined to create Caliber 9S65and to deliver a power reserve extended to 72 hours. The movement, which is the result of a fusion between advanced technology and craftsmanship, has long been the tried and tested movement in most Grand Seiko watches, even to this day. 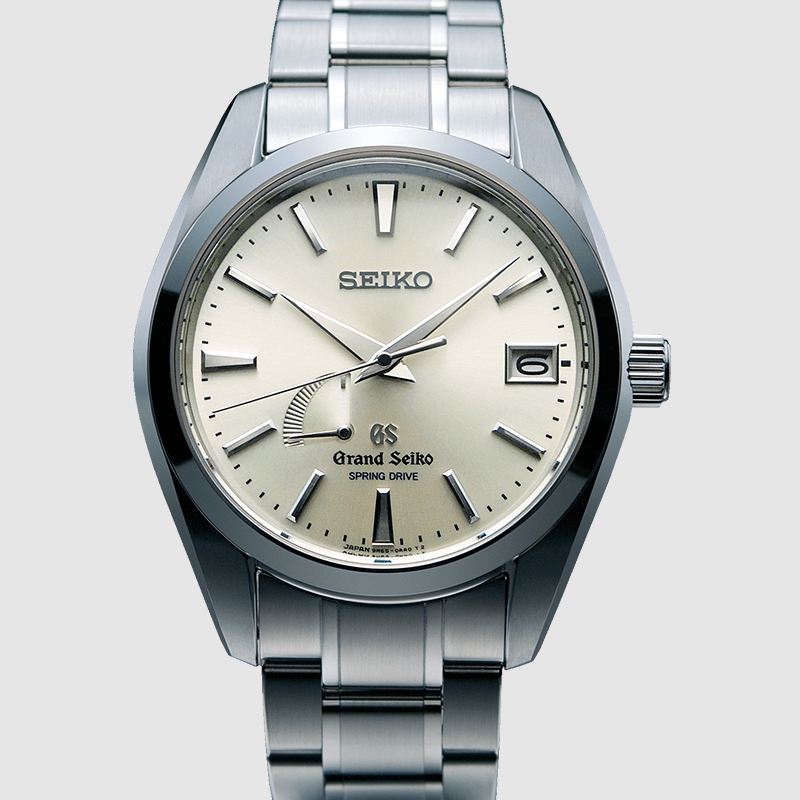 The first new hi-beat caliber in Grand Seiko for 41 years. Using new alloys and new techniques, Caliber 9S8 delivers high precision and a power reserve of 55 hours. A new automatic caliber with a power reserve of 72 hours. It uses the newest materials for its balance spring and escapement, improving the stability of its precision during actual use. Caliber 9S86 combines hi beat precision with a GMT function. This watch won the “Petit Aiguille” award of the 2014 Grand Prix d’Horlogerie de Genève. In 2016 Seiko created its first all-ceramic case and launched a new collection. This collection shows a new side to Grand Seiko and demonstrates that the Grand Seiko virtues of precision, durability, legibility and beauty are as perfect in a sport watch as they are in every other type of timepiece. The Spring Drive 8 day power reserve was unveiled in 2016 and is capable of continuous operation for a remarkable eight days. This was the first Grand Seiko watch to be created by the world-renowned watchmakers in the Micro Artist Studio at Shiojiri in central Japan where many of the company’s most celebrated luxury watches have been created. Normally, only one barrel is used in Spring Drive. However, Caliber 9R01 utilizes a series of three barrels which enables the power reserve to be extended to eight days, about 2.5 times longer than usual. The watch case is made of platinum. 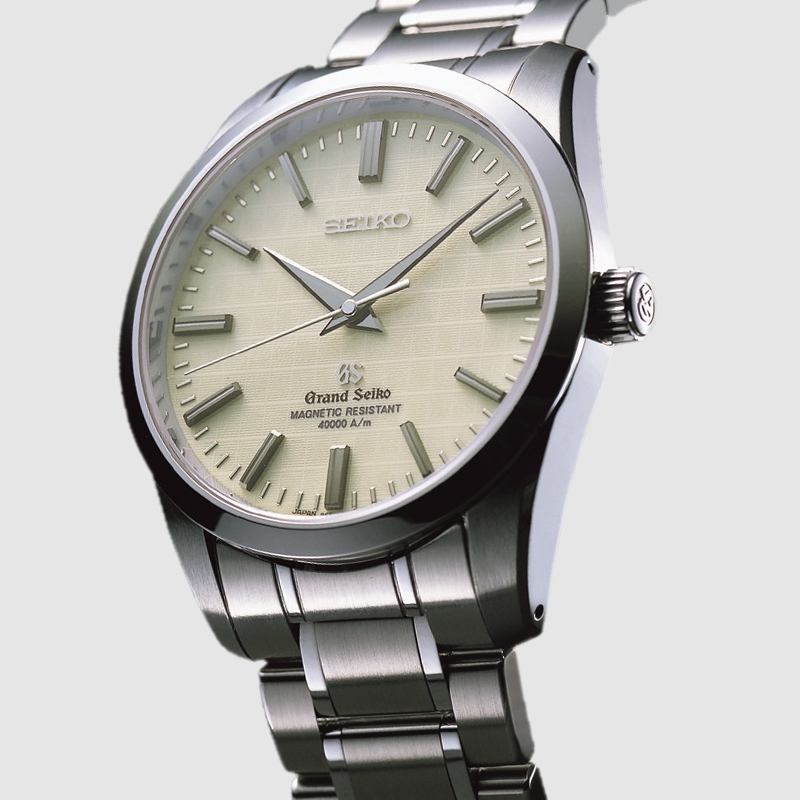 Grand Seiko’s special Zaratsu polishing technique was specially adapted to this material so the distinctive distortion-free surfaces and sharp edges of Grand Seiko are achieved. Caliber 9R01 opens a new chapter in the continuing innovation of Grand Seiko. While always true to its eternal values, Grand Seiko will explore new design directions and open new possibilities in watchmaking. Powered by a Spring Drive, this is the first Grand Seiko watch with a fully ceramic case. This is the very first Grand Seiko watch to have been created at the Micro Artist Studio. Its Spring Drive movement has a power reserve of up to eight days (approx. 192 hours). 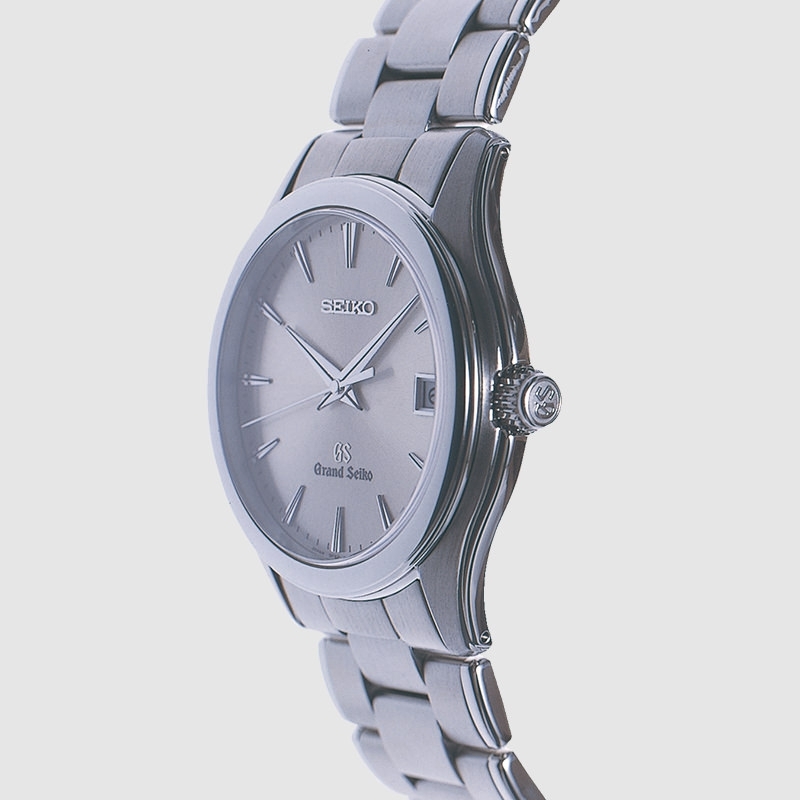 The case of this model is made from platinum 950 and achieves a sharp form unique to Grand Seiko. ※Some images might be different from the products at that time in the point of the design.